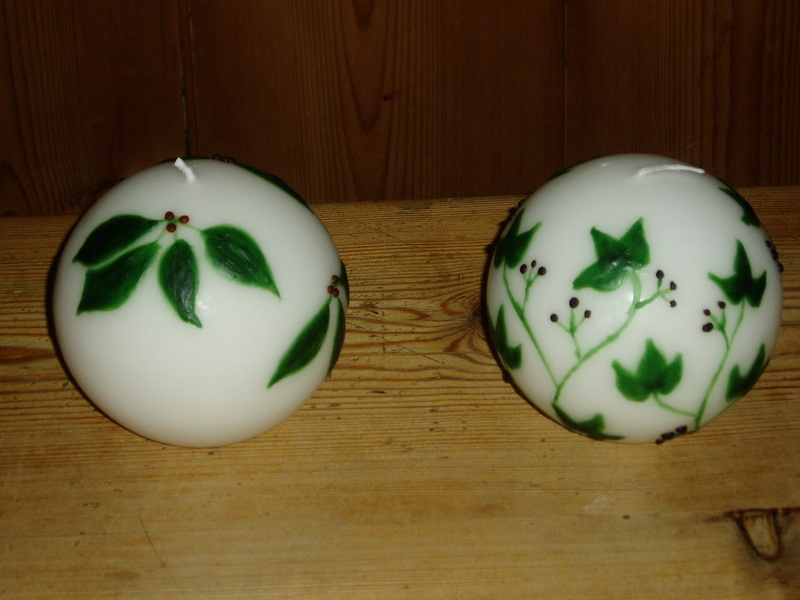 Hand painted candles. 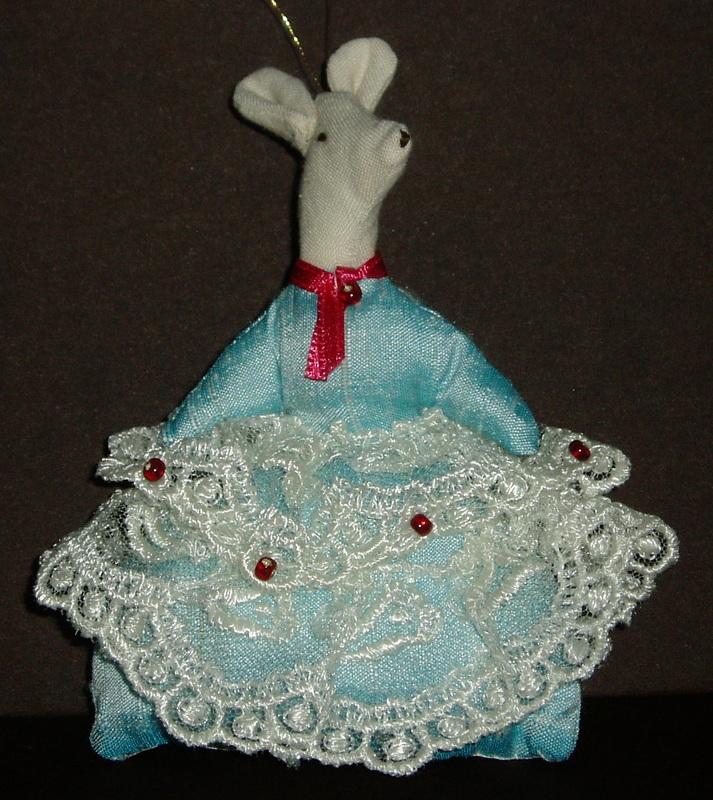 The decoration is painted on with hot liquid wax. 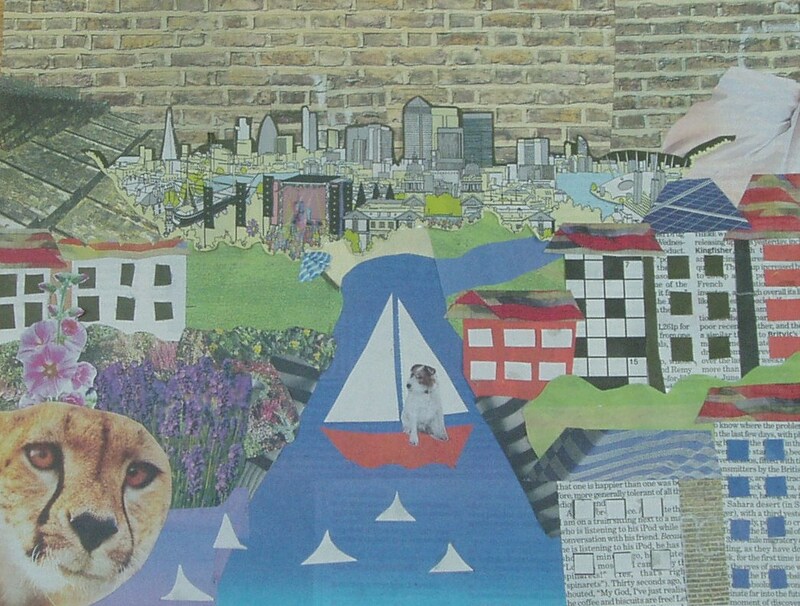 This collage, made from The Independent, one Sunday in July, was surprisingly difficult to do, but I liked the idea of making a picture from a limited source - things printed in one part of the newspaper on that one day. 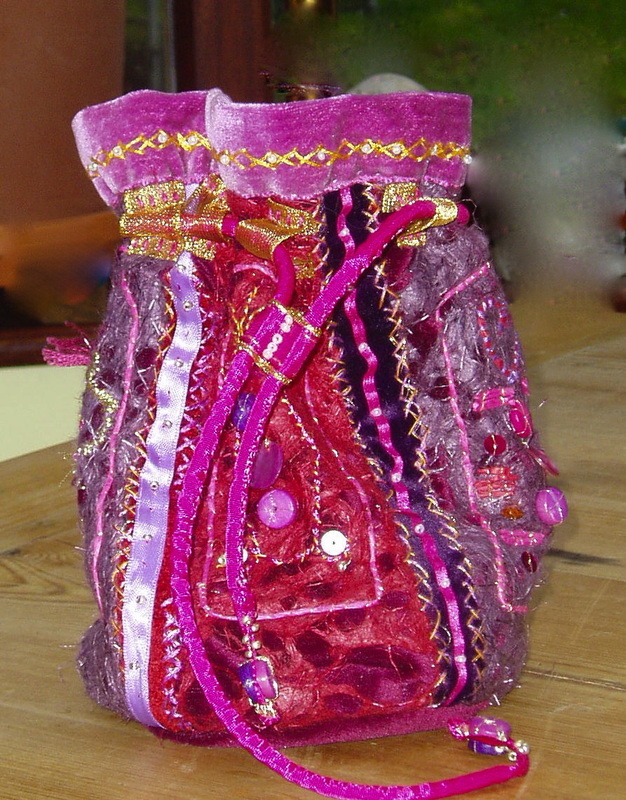 This a small velvet, drawstring bag, with decorated panels of textured paper, gold thread, sequins, ribbon and beads. 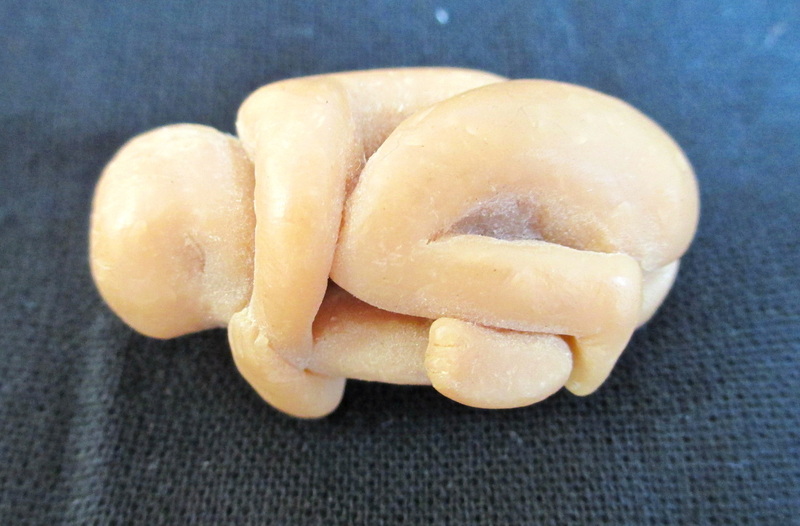 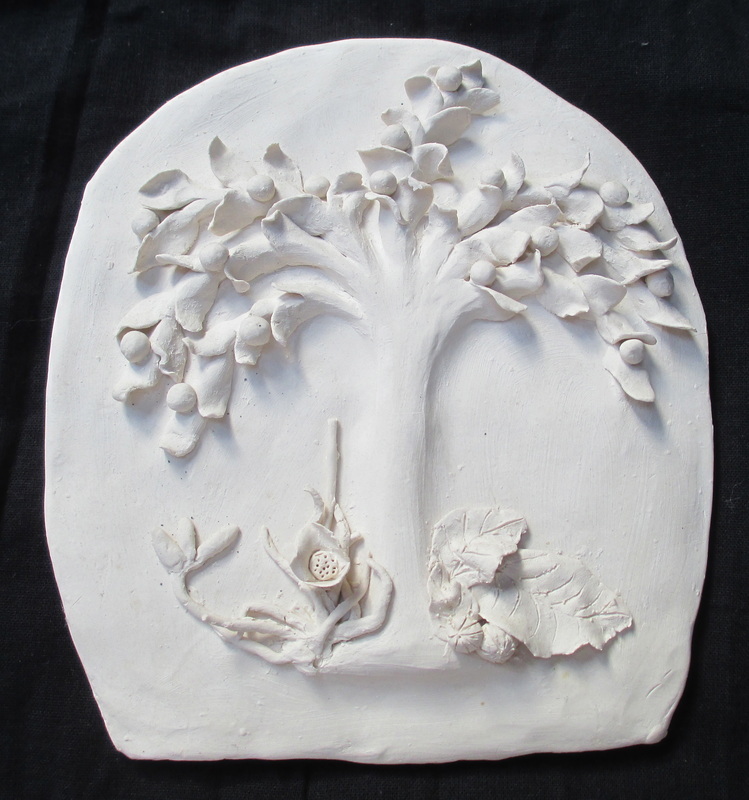 This piece measures four cms long and was made with fimo.